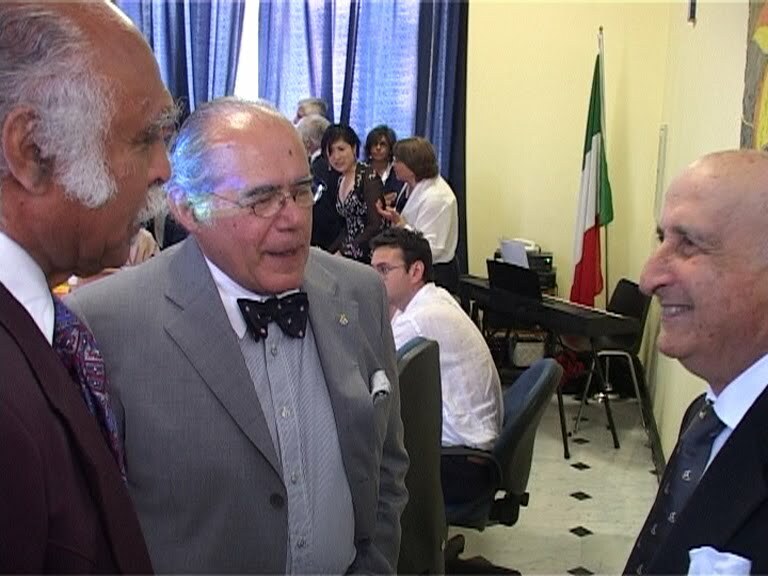 Emotive moments and warms applauds at Genoa Serra-Riccó during the public ceremony celebrating the 550 anniversary of the Cape Verde discoveries by Genoese navigator Antonio de Noli, the first European Governor in Sub-Saharan Africa. 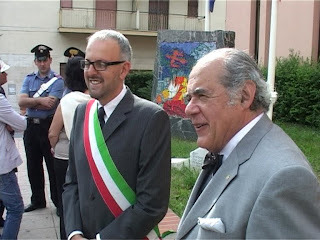 The happy podium at Genoa Serra-Riccò Town Hall: Dott. Jose Edo. 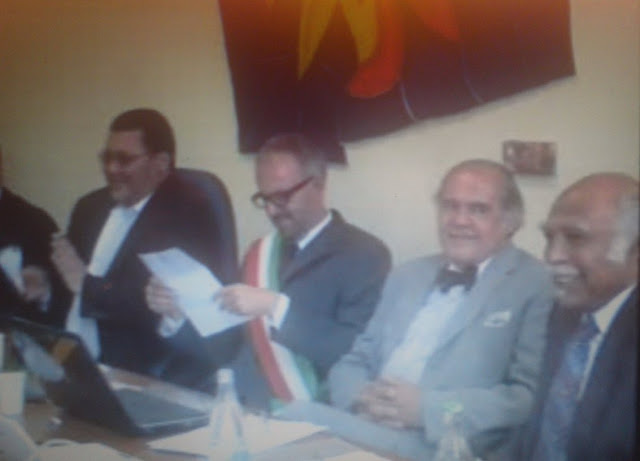 Barbosa (CV Ambassador to Italy), Dott. Andrea Torre (Major of Genoa Serra-Riccò), Prof. Marcello Ferrada-Noli, and Dott. 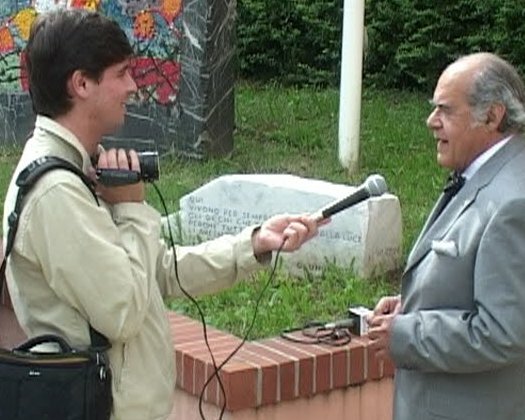 Marcel Balla (President, respectively Vice-Chairman of The Antonio de Noli Academic Society). The Cape Verde Ambassador Jose Eduardo Barbosa was very much applauded when he said significant meanings on the origins of Capeverdeans. This, as follows, is my version of his message (not exactly the Ambassador's words), and as I recall it to the best of my knowledge. Cape Verde had not "aborigin habitants" like in the rest of African countries colonized by the Europeans. Instead, Capeverdians started to exist as such after the deserted islands were discovered by Antonio de Noli and subsequently populated by this unique cultural constellation of Genoese, West Africans, and Lusitanians. Cape Verde would be the only country in Africa deprived by Nature of its traditional resources such as oil, large forests, etc. "But we, the Capeverdians, we are instead that natural resource". Ourselves, our people, our families, our optimism, our creativity and enterprise-spirit, the friendship towards the visitor, our advocacy for peace. When digging into history, the links between the small local history and the great history of the world are naturally to be found ["facile, excavando nella storia se possono trovare legame della quella que la piccola storia è la grande storia dil mondo"]. 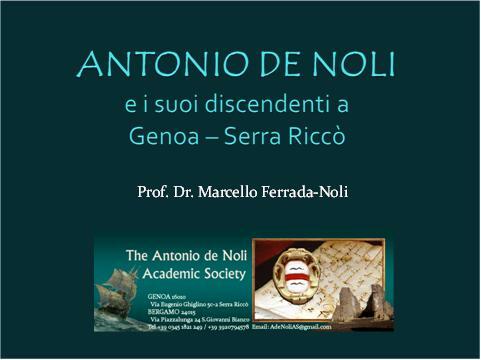 "Thanks", and presented the lecture "Antonio de Noli. Aspetti storici e biografici"
[Full text in English here. For the slides of the presentation go to AdeNoliAS Cultural Bulletin]. "If not for Antonio de Noli you would not be here, for he was from here and many among you are his descendants. 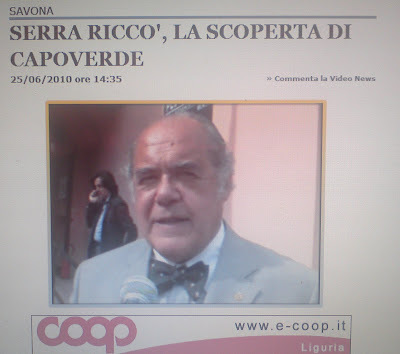 And I would not be here, for although I am American and born in Boston my ancestors are Capeverdians and the Capeverdian society was historically initiated by Antonio de Noli, by his discoveries and governorship, and by the people of Cape Verde. 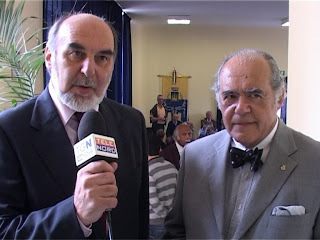 Antonio de Noli had made that we all are here today together". 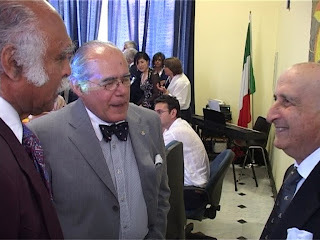 Below, picture at the family summer dinner of De Noli descendants in Genoa - Serra Riccò (branch descendants of Vittorio Noli & siblings) on occassion of the Genoa - SerraRiccò event. 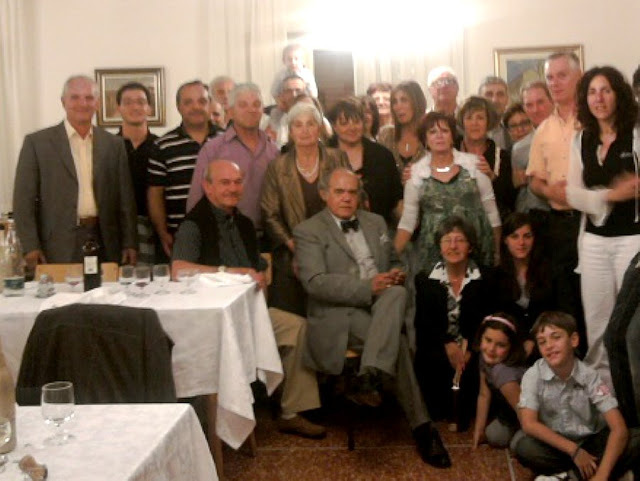 This big family meet every second year for a summer dinner in the Valleregia territory, the land of the De Noli. Beautiful moments and warms applauds also - and excellent Italian gastronomic art - at the dinner offered by the De Noli descendants and the municipality of Serra Riccó to the Ligurian authorities, the members of the diplomatic corps represented at the event, the Church, and to the members of the board of the A de Noli Academic Society. A pictorial will follow in a future updating or new post. 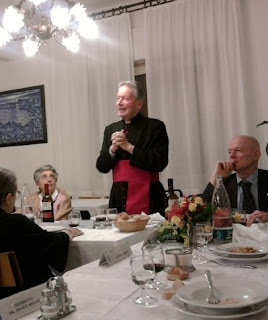 There were many speeches, among other by monsignor here below. 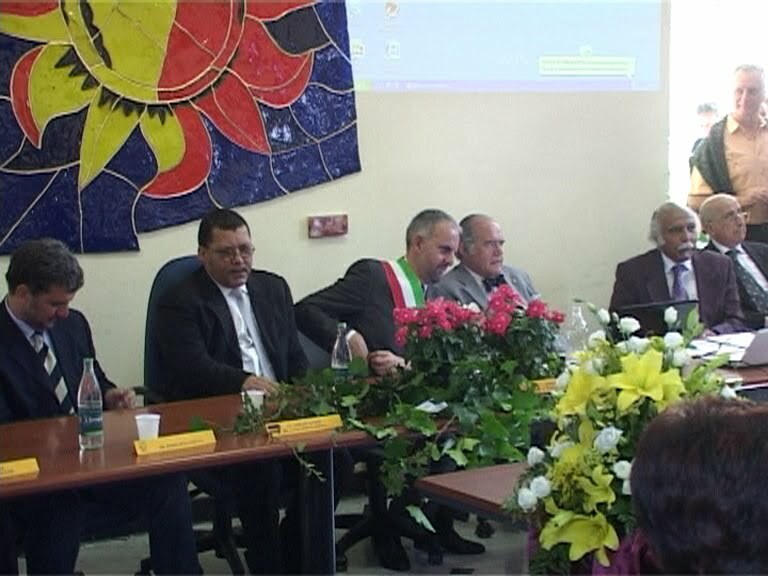 The event was organized by the Cultural Section of the Serra Riccò Municipality of Genoa under the lead of the Cultural Advisor Dott. Tomaso Riccini and staff, among other Signora Maria Adelaide. 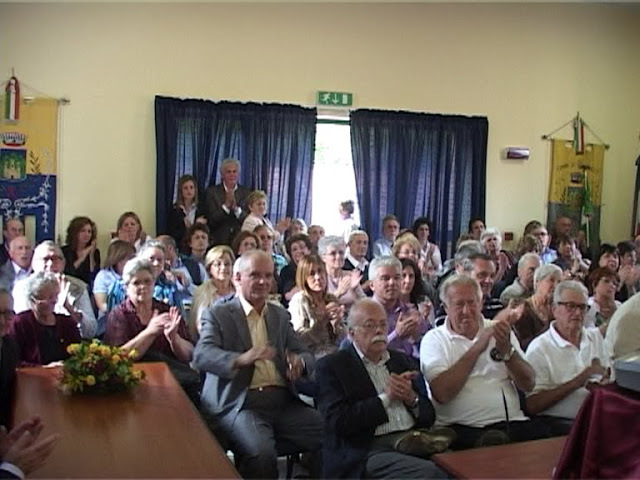 In the picture below the Asesore Culturale Dott. 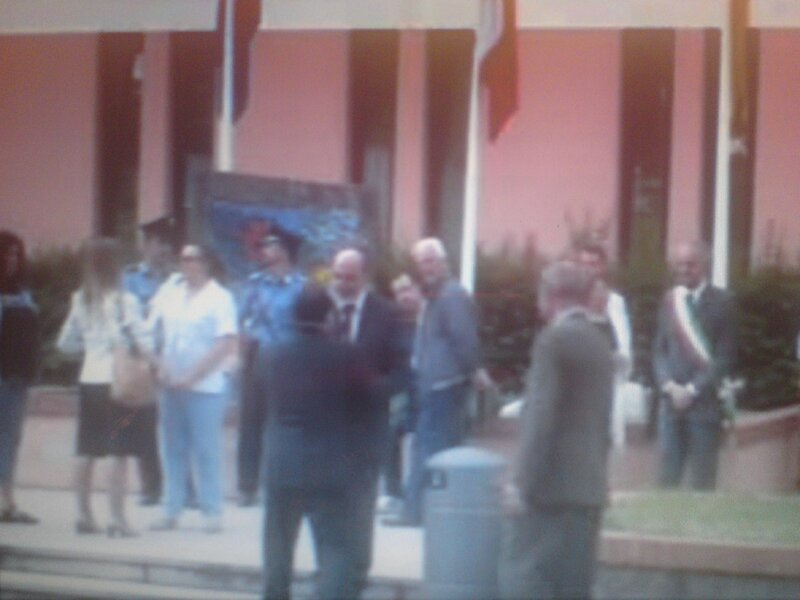 Tomaso Riccini welcomes the Cape Verde Ambassador Jose Eduardo Barbosa at his arrival to the Town Hall. Update 7/7. More pictures sent by Luciano Marmi on the 19/6 event in Genoa - Serra Riccó. The pictures are taken from sequences of the TELENORD TV-news program (video to be posted later in Youtube).